If you have been injured as the result of another party’s negligence, then you should be entitled to seek monetary damages by filing a personal injury lawsuit. If it can be shown that the other person’s reckless or careless behaviors caused your accident then you should have the right to compensation. At Fielding Law Group, we can help by negotiating with the insurance company to pursue an out-of-court settlement, and if necessary, we’ll take your case to trial to recover the amount that you deserve. These damages server to compensate the injured party for their various injuries. A Boise ID personal injury lawyer can help you prove negligence in a court of law and get compensation for your injuries. This may not surprise you, but insurance companies are not enthusiastic about paying insurance claims. In fact, they will do anything within their legal power to deny a claim. In tort states, this is not unusual. Personal injury law is an adversarial process and the insurance adjusters are the opposing party. The Boise ID personal injury lawyers at Fielding Law Group represent your interests and advocate on your behalf. We keep the insurance companies honest so that they can’t just steamroll plaintiffs making claims against their client’s policy. This often involves simply building a strong enough case to make it courtroom ready and thus leveraging them into a fair settlement. Another thing you should know about insurance companies is that they’re not enthusiastic about going to trial. Jury trials are costly and unpredictable. Hence the size of your payout is often relative to the skill of your lawyer and the strength of the case they prepare. Fielding Law Group takes pride in negotiating excellent settlements for our clients, and bringing cases to trial when we have to. We will advocate tirelessly for your interests. Idaho is a tort state for car accident claims. In other words, one or the other party in a car accident is considered at fault for the accident. In addition, both parties can be considered partially at fault. The at-fault party’s insurance pays damages to the other party, but negotiating a fair claim is often more difficult than it should be. The more serious your injuries are, the more important it becomes to have a skilled Boise ID personal injury lawyer advocate for your interests. Large commercial trucks can do a serious amount of damage to smaller cars, trucks, and SUVs. It’s important to remember that you’re only going to get one chance to litigate your damages against a negligent party. It’s important to get compensated fully for your injuries. The more serious your injuries are, the more important it is to have the skilled Boise, ID personal injury lawyers at Fielding Law Group help you make your claim. Motorcyclists tend to have a reputation for being reckless, but that does mean they’re always at fault in accidents. Nonetheless, insurance companies can exploit that stereotype to paint injured parties as negligent for accidents they were not at fault for. The Fielding Law Group will help ensure you’re compensated fairly for your injuries instead of being blamed for an accident you did not commit. When people say “I feel like I’ve been hit by a bus”, that’s because they don’t feel very good at all. The metaphor, though hyperbolic, is apt. Those who are literally hit by buses don’t tend to fare well from the exchange. The more serious the injuries, the more important it is to have a Boise ID personal injury lawyer manage your claim. In some ways, those on bicycles are in an even more vulnerable position than pedestrians. The chances of sustaining a serious injury even when a car is moving very slowly are high. Those on bicycles who are involved in traffic accidents tend to have a lot at stake when filing a claim with an insurance company. Fielding Law Group can ensure you get the best possible settlement for your injuries. Cautious drivers may choose to carry personal injury protection insurance which extends their own coverage when they are hit by an uninsured driver, an underinsured driver, or driver who speeds away from the scene of an accident. In some instances, police may be able to track the driver down. Other times they won’t be able to. When your PIP insurance kicks in, you’re filing a claim with your own insurance company. The process can be more difficult than it should be. A personal injury lawyer can help. Pedestrians almost always suffer extensive injuries when a vehicle hits them. It’s important to remember that the more extensive your injuries are, the more is at stake in your lawsuit. That makes it more important that you have a skilled personal injury firm manage your case. Your local government has a duty of care to maintain the roads. When they don’t, you may be able to file a lawsuit against them. A personal injury attorney can help you determine if you have a case when unsafe road conditions cause your accident. Construction companies also have a duty of care to maintain safe worksites. When they fail that duty and it causes an accident, they can be held liable. A personal injury attorney can help manage your lawsuit and ensure you get full compensation for your injuries. Those who manage spaces that are open to the public have a duty of care to ensure that their premises do not endanger their patrons. If you slip and fall because someone left a dangerous condition alone, you may have cause to sue. By preparing your case so that it is trial ready, the personal injury attorneys at Fielding Law Group can ensure the best possible settlement from the insurance company. If they want to play hardball, we have the experience and willingness to take your case before a jury. Give us a call or contact us online and we will make sure that you are compensated fairly for your injuries. By opening our car accident and personal injury office just outside of Boise, our team of car accident attorneys has greatly expanded their ability to serve our clients. 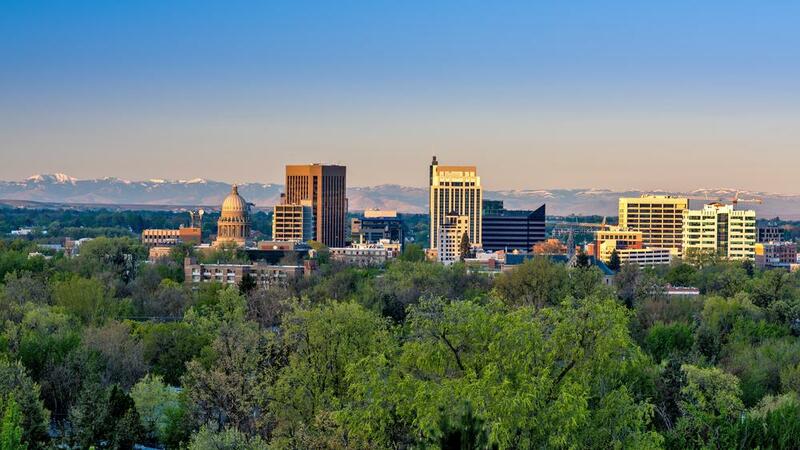 Our auto accident lawyer‘s office in Boise has paved the way for us to offer legal representation to many of our clients outside of Washington. So, if you are one of the thousands of people in need of an accident attorney in the Boise and surrounding areas, our experienced car accident attorneys are available to help you. If you need a car accident attorney in Boise whom you can trust to strongly and ethically advocate for your rights, we would love to hear from you. Our car accident lawyers have handled many types of vehicle accident cases and we believe we can help you put your life back together. If you are searching for a car accident lawyer in Boise, we would love to get to know you. Make an appointment by phone, e-mail us here, or come in and see us. We are a trustworthy and reliable team of car accident attorneys with the experience to help you.